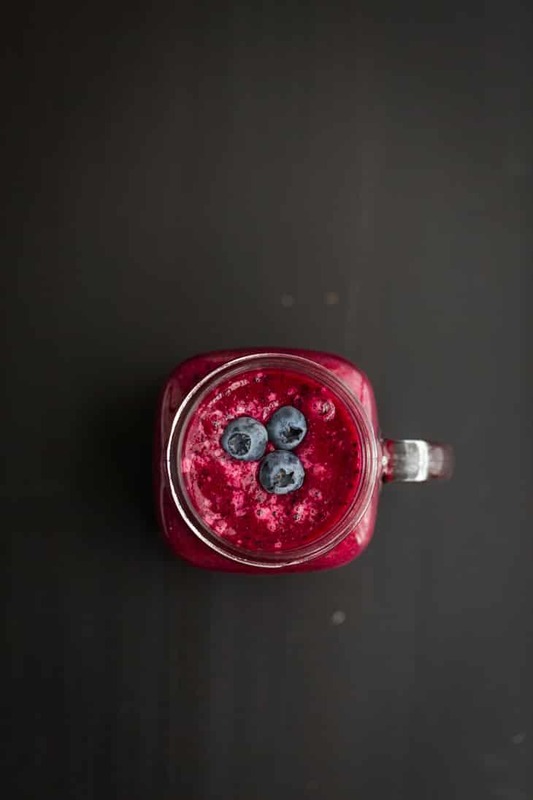 Blueberry Black Tea Smoothie | Naturally. In terms of beverages in my life, I’m a fairly straight forward kind of girl. I always have a water bottle with me, my day starts with a cup of coffee, and while I enjoy a good beer, I’ll more likely than not choose wine (unless scotch is involved- M and I found a small hobby in trying new scotches). Even with my penchant for coffee, I keep a cupboard well stocked with tea because sometimes a cup of tea sounds perfect (usually more in the winter). However, my knowledge with tea is fairly limited and I had no idea that tea could be such a versatile ingredient in cooking. Combine ingredients in a blender in the order listed. Blend until smooth and add more ice if desired. Taste and adjust sweetness by adding more maple syrup. *I’m kind of lazy when it comes to beets and most stores around me sell precooked, peeled, organic beets (perfect for smoothies). Ooooh, yum! 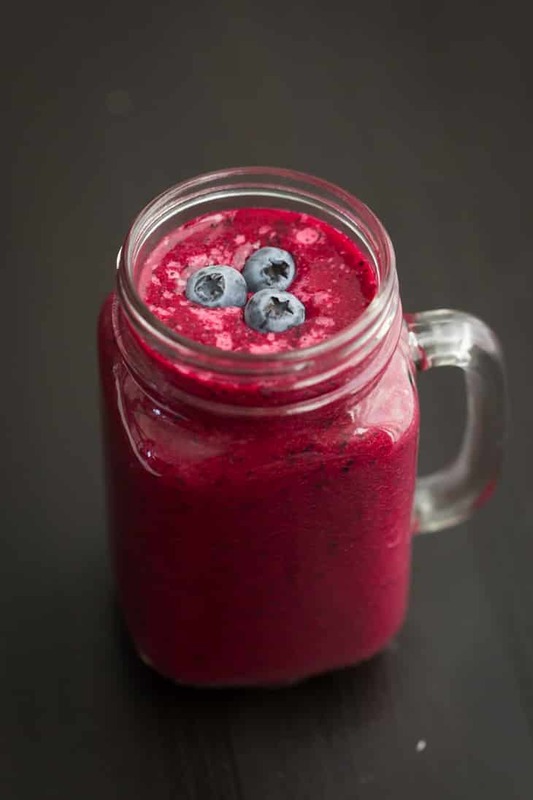 Tea and smoothies… two of my favorite things! What an interesting combo and such a great colour. Thanks for sharing. This sounds wonderfully fruity and love the beautiful colour! Thanks for finding a way to fit even more tea into my daily life! 🙂 This looks wonderful! This looks yummy! I am so glad we have blueberries in our garden. Awesome idea! Tea and smoothies are two of my favorite things and I recently just started a love affair with beets so this is perfect. I like the idea of tea in a smoothie. It looks so pretty, too. This looks so bright and perfect for summer! All I want now summer is here is nice cold ice drinks and I think this will hit the spot. 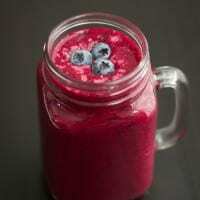 Smoothies are great as a drink but also as a meal replacement, especially breakfast. With the added tea it is giving you a little caffine boost as tea does contain caffine, just not as much as coffee. OMG… I am so impressed. I can’t wait to make it. I can see how this combination of super ingredients could create wonders inside a blender. Erin- You really captured the essence of the Blueberry Black Tea Smoothies. 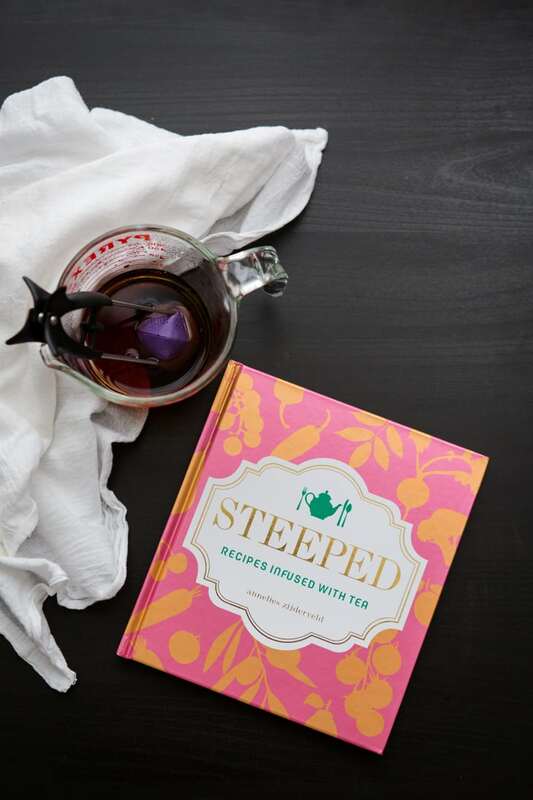 Thanks for taking time to get steeped. So beautiful recipes. Im going to make it this weekend indeed. Thanks a lot for sharing, I love your Blog!